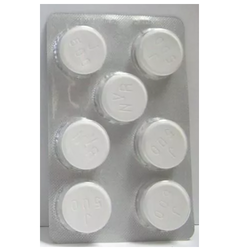 Manufacturer of a wide range of products which include aprepitant capsules, prosteride, deferasirox dispersible tablets, abiraterone tablets, thalidomide and lenalidomide capsules. 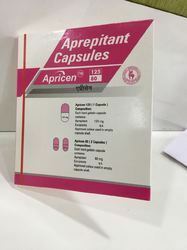 Under the supervision of our experienced professionals, we are providing high quality range ofAprepitant Capsules. Used (only in adults) to prevent nausea and vomiting that may be caused by surgery. Emend is given ahead of time and will not treat nausea or vomiting that you already have. Emend capsules are for use in adults and children who are at least 12 years old. 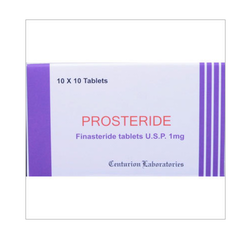 We are the manufacturer of Prosteride Tablets which used Anti T.B. Tablets. It is manufactured using top quality materials and latest technology and tested under various quality parameters. 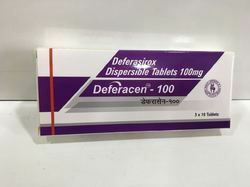 Deferasirox dispersible tablets tablets are procured from trustworthy and reliable vendors of the market. All these tablets are helpful in reducing chronic iron overload in patients who are receiving long-term blood transfusions for conditions such as beta-thalassemia and other chronic anaemia. Abiraterone acetate is used to treat men with a type of prostate cancer called mCRPC (metastatic castration-resistant prostate cancer). This cancer is resistant to medical (eg, hormonal) or surgical treatments that lower and have spread to other parts of the body. Note: Abiraterone acetate is a prescription Drug and should be used under Proper Medical Guidance and Advice. Do not share the medicine with others, since they may be suffering from a problem that is not effectively treated by this drug. This medication is used to treat or prevent certain skin conditions related to Hansen's disease, once known as leprosy (erythema nodosum leprosum). Thalidomide is also used to treat a certain type of cancer (multiple myeloma). It works in Hansen's disease by reducing swelling and redness (inflammation). It also reduces the formation of blood vessels that feed tumours. Our respected clients can avail from us a quality proven range of Lenalidomide Capsules. These products are formulated by taking of optimum quality ingredients. Our firm offers Aprepitant Medicine. The proffered batch is used with other medications, in order to help to prevent nausea and vomiting, due to cancer drug treatment. Aprepitant works by blocking body's substance P/neurokinin 1, which that causes vomiting. Highly effective and accurately composed, the batch is vastly sought after. 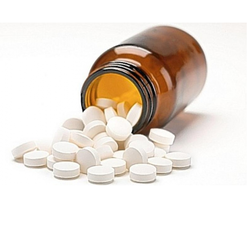 We are provider of Deferasirox Tablets. 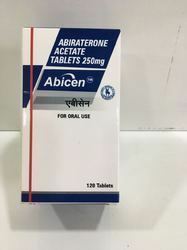 Abiraterone Acetate Tablets is a prescription drug and should be used under proper medical guidance and advice. The information provided here is for general educational purposes only and does not constitute medical or pharmaceutical advice which should be sought from qualified medical and pharmaceutical advisers. Looking for “anti cancer drugs”?